According to Cyber Safety, a Cyber predator uses the Internet to hunt for victims to take advantage of in ANYway, including sexually, emotionally, psychologically or financially. 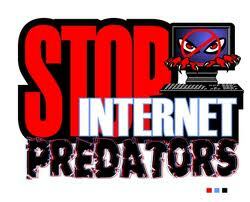 Cyber predators know how to manipulate kids, creating trust and friendship where none should exist. As much as the Internet has made a positive impact in most people's lives, it has also made it easier for child molesters and other predators to prey on our children without parents having the slightest clue. Online communities like MySpace and Facebook, as well as additional kids-oriented communities, are struggling with ways to better protect children from online predators. For many parents, child Internet safety is a greater concern than even drugs and alcohol. In October, 2008, Congress passed the Broadband Data Improvement Act, which is focused on protecting students in the 21st Century. The act includes a section that declares that the issue of Internet safety includes issues regarding the use of the Internet in a manner that promotes safe online activity for children, protects children for cyber crimes, including crimes by online predators, and helps parents shield their children from material that is inappropriate for minors. Stopping any email communication, instant messaging conversations, or chats if anyone starts to ask questions that are too personal or sexually suggestive. Never revealing personal information about themselves (including age and gender) or information about their family to anyone online and not filling out online personal profiles. Telling an adult immediately if anything that happens online makes them feel uncomfortable or frightened. Talk to your kids about sexual predators and potential online dangers. Follow age limits on social networking websites. Most social networking sites require that users be age 13 and over. If your children are under the recommended age for these sites, do not let them use them. Keep the Internet-connected computer in a common area of the house, never in a child's bedroom. It is much more difficult for a predator to establish a relationship with your child if the computer screen is easily visible. Even when the computer is in a public area of your home, sit with your child when they are online. Tell your children to never respond to instant messaging or emails from strangers. If your children use computers in places outside your supervision-public library, school, or friends' homes-find out what computer safeguards are used. Educate your students on the importance of internet safety. Give your students safety rules to use while on the internet. Monitor your students' classroom computer usage closely. Provide your students' parents with informational material about internet safety.